I literally gasped when I opened the parcel and saw Givenchy. This has to be one of the best PR gifts I have ever received. Cased in a sturdy, yet stunning tube is the Noir Interdit Mascara*. If you know me or have been around for a while, then you know that I don't get along with most mascaras. Despite me using mascara for years, I haven't actually fallen in love with a mascara up until this year - the Maybelline Lash Sensational. It seemed to be the only mascara that did anything for my lashes. 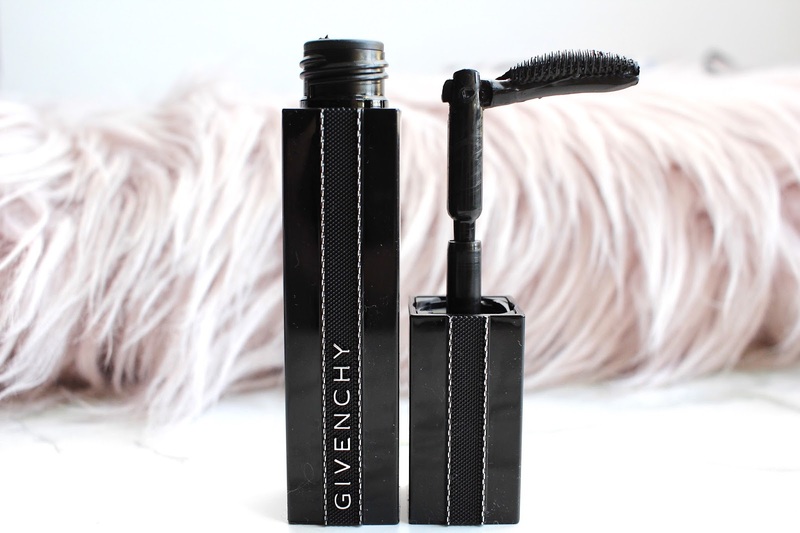 So I was really curious to see if this Givenchy mascara would match up to my expectations. 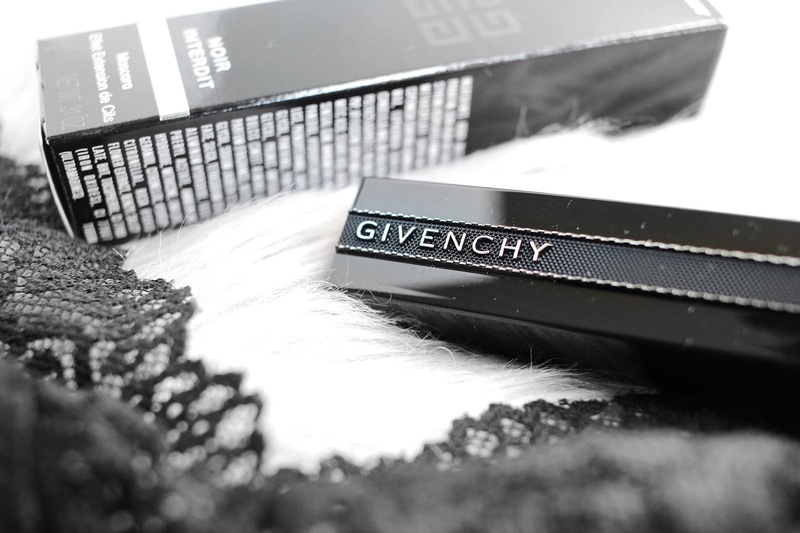 Givenchy claims that this is the 'new secret lash extension effect'. With it's revolutionary brush paired with their unique formula, you're promised endlessly long lashes and made-to-measure volume. What makes this mascara different from the others is it's bendable wand that can bend at a 90° angle. I believe that comes from the makeup pro tip to use shortened and bendable brushes. I brush is meant to be able to bend to all demands and the flexible comb should follow the shape of lashes. The bendable wand definitely takes time getting used to. I'm so used to straight brushes that I barely use it while it's bent, but I don't see a big difference when it comes to application between both methods. One thing to note is the stiffness of the bristles. If you get too close to the lash line, you may end up poking your eye like I did the first time I used it. Be aware of this if you plan on giving this mascara a try. Taking a hit in the eye hurts, so consider yourself warned! When it comes to mascara, I look for three main things: length, volume, and lash separation. The Noir Interdit definitely lengthens my lashes; just as well as Lash Sensational, if not better! As for volumization, I don't notice much of it but it did work better compared to a whole lot of other mascaras that I've tried. The mascara also checks off lash separation. There's nothing I hate more than clumpy lashes, but luckily, since there are a ton of bristles tightly packed on the wand, the lashes are separated very nicely. Something that I very much appreciate when it comes to throwing mascara on my bottom lashes. 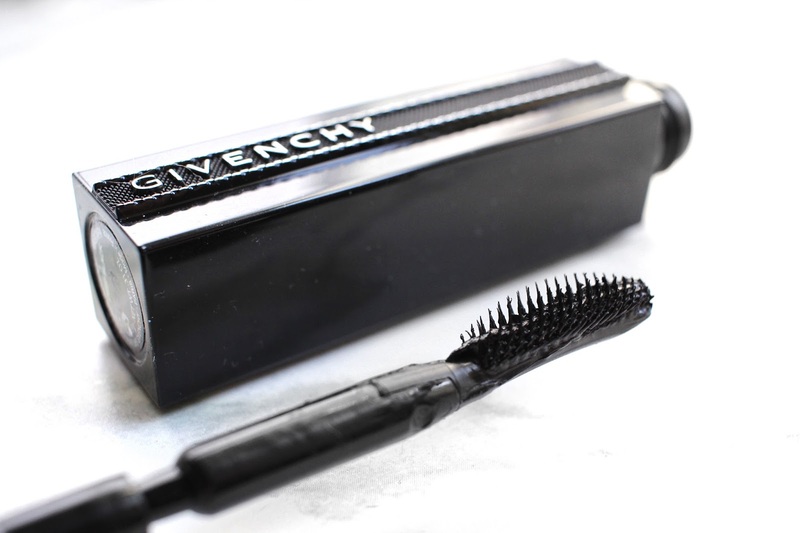 Overall, I think the Givenchy Noir Interdit Mascara* is a fab one that is definitely worth the splurge. Based on my mascara checklist, it pretty much checks off 2 ½ out of 3, so I'm very happy about that. To be honest I was hoping to hate this since it is pricey as it retails for $38CAD; now it may be one of those products that I'll have to repurchase, especially since good mascaras are hard to come by for me. Do you own anything from Givenchy? What is your most expensive mascara?